Dr. Keller grew up back east in a small town in Connecticut. He attended Muhlenberg College in Allentown, PA., and graduated with a B.S. in Biology in 1987. During his college years he played two years of varsity football and four years of varsity baseball. He was also very active in his college fraternity. After college, he did clinical research for one year at Yale University School of Medicine. He attended The University of Pennsylvania School of Dental Medicine and graduated with a Doctorate of Dental Medicine degree in 1992. 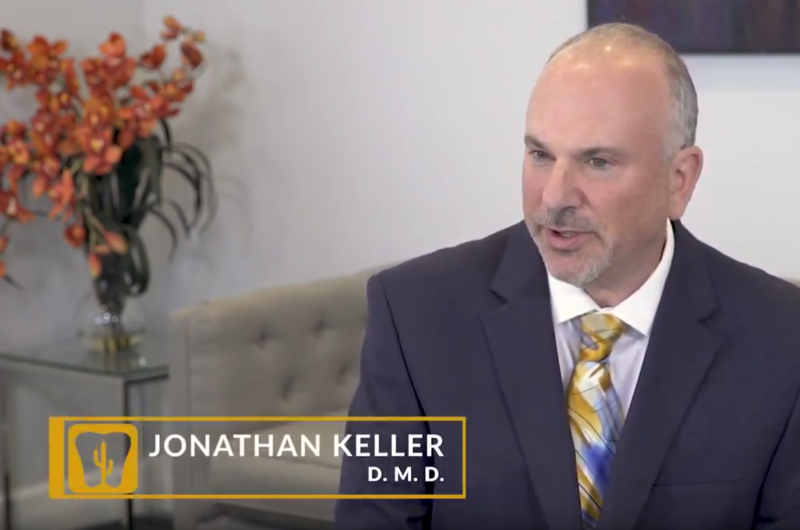 Dr. Keller completed a one year General Practice Residency at Sacred Heart Hospital in Allentown, PA following dental school. He remained on staff as a clinical instructor in the dental clinic of Sacred Heart Hospital for 12 years before moving to Arizona. He has been in private practice since 1993. During this time he has owned multiple dental practices in Pennsylvania and here in Arizona. He has a passion for dentistry and takes great pride in his dental work. When Dr. Keller is not working, you can find him golfing. He is a huge fan of the Green Bay Packers, Go Pack Go!!!! and the New York Yankees. He also likes to travel, ride his bike and has a huge interest in landscape photography.